As we celebrate 7 years of T.H.E – Music Essentials, we decided to take a walk down memory lane and explore seven DJs who’ve had an impact on the dance music scene since then. We decided to focus on game changers in the experiential space and explore the unique and holistic experiences artists created with their live show concepts. Here are seven acts we think have changed how we ‘experience’ electronic music in the last seven years. While we can all agree that the early adopters such as The Prodigy and Daft Punk were ahead of their times with the work they produced, here’s looking at stand out acts from mainly the past seven years. When it comes to Armin Van Buuren’s live performances, he is always out to make it special and spectacular for his audiences. May it then be with his spectacular album tours – Armin Only, unique venues for monumental episodes of ASOT or announcing ASOT 900 from a special concert 60 meters above the ground in a very unique setting! In case you missed it, Armin was joined by fans in a crane with a specially built DJ booth and gave them a one-of-a-kind music experience. Known to be one step ahead when it comes to the most spectacular live concepts, when Eric Prydz announced HOLO, we knew we were in for a treat. 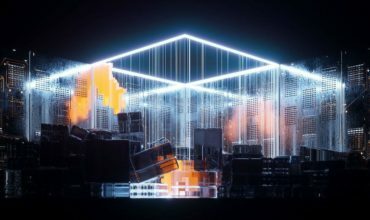 After the mammoth success of EPIC and EPIC 2.0, there was no doubt that with HOLO, Prydz was set to blow our minds away with the promised one-hundred percent holographic audio-visual experience. While words can do no justice to the mind-boggling concept and seamless execution of it, the good news is that the entire set-up for HOLO is not venue specific and tourable. But when and where Prydz will head next with this is yet to be seen. While deadmau5 has been touring with his Cube setup for a few years now and revamping it from time to time, from the very first one it was an experience. While he and his team work to perfectly sync the audio with the visuals across the cube, his quirky visuals are only the cherry on top. As announced earlier this year, deadmau5 will be debuting his cube 3.0 set up at Ultra Music Festival in Miami at the end of this month. While he has been sharing clips of him test-driving the setup with new music in tow, what the experience holds in store for us remains to be seen. To say that these shows left an impact on the audiences would be an understatement. With his own festival, Second Sky in conjunction with Goldenvoice selling out in record time forcing them to add a second day to meet the demand, it’s only a testament of his popularity. Undeniably a major pull has been Porter announcing that this will be his only live performance of his Worlds set for the year! While there are no official videos of the spectacular tour even 5 years later, here is a fabulous fan made video compiling Porter Robinson’s vision of Worlds as seen from thousands across the globe. 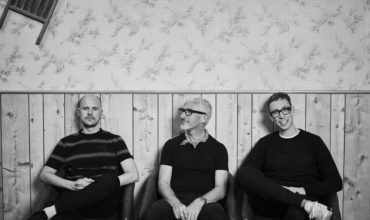 While Group Therapy, in theory, is a radio show, it has grown to become a gathering of the devout Above & Beyond fans making their monumental episode live shows nothing short of spectacular. The kind of connection A&B have with their fans is something magical in itself. From the live messages, they share in-the-moment to their “Push the button” moments with that special fan in each show. 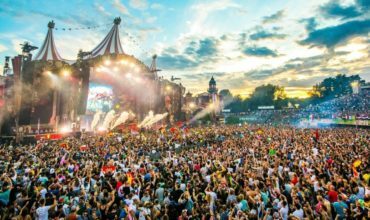 It’s this sheer bond they have which made us feel ABGT had to make it to this list of our top picks. While ABGT001 kicked off in Bangalore, India, they’ve taken it across the world in years since. From ABGT 150 in Sydney to ABGT 250 at the George Amphitheatre and ABGT 300 in Hong Kong to the upcoming ABGT 350 in Prague. Known since the very beginning for technologically advanced ways in addition to his musical talents, Richie Hawtin started his own company called PLAYdifferently in 2015. Their first release was the MODEL 1 mixer, co-designed with the award-winning Andy Rigby-Jones. The mixer has been adopted by DJs such as Carl Cox, Jamie Jones, Loco Dice, and many others. 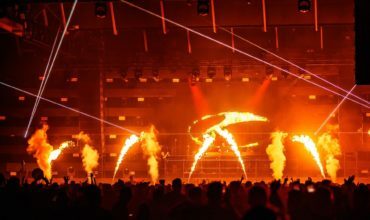 With RICHIE HAWTIN CLOSE, Hawtin challenges the distinction between DJ’ing and live performances displaying a closer look at his unique performance art through a 75-minute audio-visual journey. Using intimately placed cameras, this unique man-machine relationship unfolds onscreen in real-time bringing the audiences closer than ever before for an inside look at Hawtin’s intuitive gestures and creativity. While the album itself won Justice a Grammy award this year for the Best Electronic/Dance album, much like their fellow countrymen Daft Punk, Justice’s shows are an immersive experience sure to satisfy all the senses. The Woman World Wide tour, promoting the release of the album by the same name, marked another evolution of their live show to include more intricate stage lighting, employing minimal video effects and moving lighting fixtures, while remaining true to the refusal to rely on video or lighting effects as the primary focus of the performance. However, the signature cross motif was incorporated into the lighting suite. While catching Justice perform live is a rarity, it is an opportunity not to be missed if it presents itself. The set-up for Woman World Wide incorporated a wide number of analog synthesizers, involving seemingly more manual performance and interaction from Justice themselves enhancing the live experience of watching the masterminds at work. 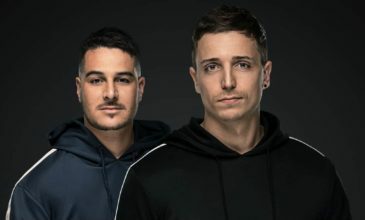 Hey Buddy!, I found this information for you: "T.H.E Turns 7: 7 Game Changing DJs and Their Impact Over the Last 7 Years | Greatest DJ’s of All Time". Here is the website link: https://themusicessentials.com/editorials/7-game-changing-djs-and-their-impact-over-the-last-7-years/. Thank you.